Is your garden being slimed by slugs? 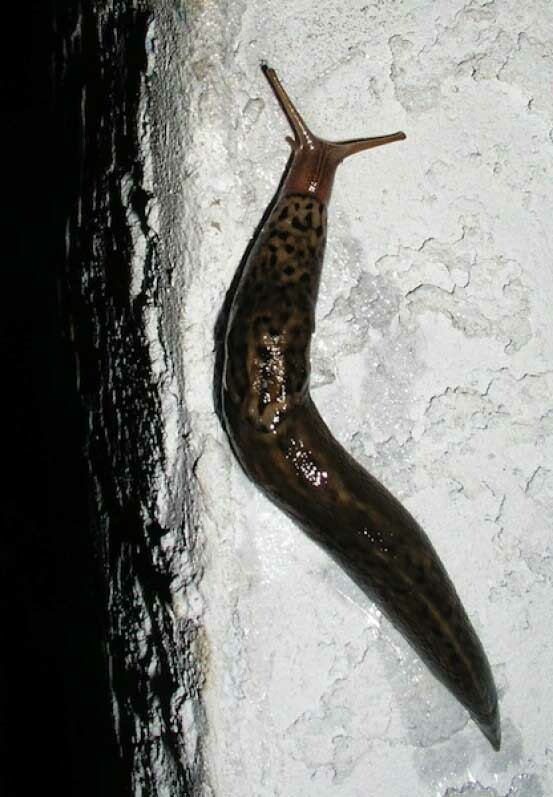 With the recent wet weather, have you noticed an influx of slugs? Details on these slimy plant-eaters. With the recent wet weather, have you noticed an influx of slugs? You’ll see them not only in your garden but roaming around your driveway and sidewalk as well when they get flushed out of the garden after a rainfall. Slugs can often be a problem in Dallas gardens during the cool, wet season. They like to feed on many of our favorite garden plants and can quickly get out of control when conditions are just right. Slugs are shell-less mollusks and while small, they can do some serious damage! They will eat several times their own body weight in one night, leaving a hefty amount of damage in their wake. It is possible for them to wipe out an entire crop of fresh vegetable plants in only a matter of days. They love any tender-leafed plants in the landscape. This includes hostas, young transplants of any kind and lettuce — their favorites. But annuals, especially impatiens, herbs and other ornamentals aren’t safe from these slimy pests either. Because slugs prefer a dark, moist environment, look for them in areas where there might be a dripping faucet or excess irrigation. Shade gardens are most susceptible. You may also find them under pots, mulch and stones. Keeping the landscape healthy and properly watered will cut down your slug population greatly. Proper soil drainage will also help to keep them at bay. Be sure not to water your landscape unnecessarily at night, as it will create the perfect conditions for a slug invasion. Keeping an organic landscape will encourage natural predators, such as toads and non-poisonous garden snakes to make your garden their home. They’ll devour slugs before the slugs devour your plants. Plus, snakes and toads won’t damage your plants as they consume other pests. If you happen to keep backyard chickens, then hand pick those slugs and give your girls a treat! Other treatments include diatomaceous earth and pecan shell mulch that can be spread around the base of tender plants to keep slugs away. Lift potted gardens up off the ground and fix leaky spouts. Still having a slug problem? Give us a call for a consult. Our Soil Building Program could be just what your landscape needs to get rid of unwanted pests!